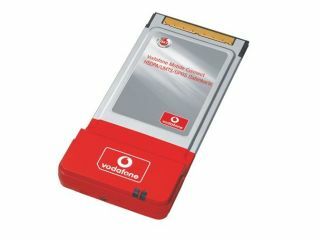 Broadband over a 3G network is the likely method most mobile PC users will use in the near future to connect to the net. That's according to a new study that says much-vaunted WiMax technology will remain a niche. The research by Arthur D. Little , claims that WiMax is, at most, likely to account for a round 10 per cent of mobile wireless subscribers in as soon as five years' time. As Little reasons, the infrastructure for 3G Broadband growth is already in place - indeed, we've already seen solutions from leading mobile operators such as Vodafone , T-Mobile and Orange . It's known as HSDPA, or High-Speed Downlink Packet Access. Most mobile network operators have 3G networks on their books, allowing cheaper solutions for the mobile operator and therefore the consumer. Little's report also points out that HSDPA is already offering download speeds at rates equivalent to first generation fixed broadband services - more than enough for most mobile needs. WiMax will offer much faster connections - perhaps as much as 20Mbps in urban areas - but despite its wide wireless capabilities it's unlikely to compete with the coverage of the existing 3G networks. Little says that technologies such MIMO will boost mobile broadband. MIMO, or Multiple Input, Multiple Output is the same tech found in 802.11n wireless to achieve better signal strength.